​Funeral Service 2/25/18 11:00 a.m.
Bill Hoover of rural Dundas, son of Roland and Helen, was born March 8, 1941. He attended Little Prairie School in Dundas and went to Northfield High School. He was always a hard worker and started working in the vegetable fields in Castle Rock weeding onions at age eight and when he was 14 he worked at the bowling alley in Northfield. Bill married Betty Jane Kos on December 3, 1960 in Owatonna, MN. They lived in Owatonna, Spencer, Iowa, Lake Elmo, and White Bear Lake, MN before moving back to the Hoover homestead in Little Prairie where they built their home and raised their four children. While married, Bill worked for a bakery, delivered milk, and drove for UPS for 35 years. He was well known on the road as the "Sheepdog" until he retired. After retirement, he continued to drive and make deliveries for various businesses until his health didn’t allow him to drive anymore. Bill was very active in the Little Prairie Church, the LP Youth Group, and Full-O-Pep 4-H Club. He spent his vacation time traveling to cattle shows with the kids. He loved gardening and working on his hobby farm. Bill especially loved traveling to South Padre Island, TX during the winter with friends and family, fishing, telling stories, and just having fun! ​ He will be lovingly remembered by his wife, Betty, four children; Gloria (Joe) Heinz, Jim (Lori) Hoover, Mike Hoover, Tim (Krista) Hoover, three brothers, Robert (Dorothy) Hoover of Detroit Lakes, Charles Hoover of Owatonna, and Les (Barb) of Washington; three sisters, Kay Gow of St. Paul, Gail (James) Marcotte of Washington, Cherrie Hollister of Northfield; 13 grandchildren and 10 great-grandchildren. He was preceded in death by his parents; three sisters Luella Mae Holt, Jean Schultz, and Susan Dalby; and brother-in-law Charlie Hollister. ​ Funeral Service will be on Saturday, February 25 at 11:00 a.m. at Little Prairie UMC. Visitation will be at Little Prairie UMC on Friday, February 23 from 4 to 6:30 p.m. and one hour prior to the service on Saturday. ​Marjorie (Martin) Childs (90) peacefully earned her wings on Sunday evening, November 26, 2017, surrounded by her family members. Marjorie was born June 24, 1927, in Rockford, Minnesota, to Orley and Lillian Martin, the 5th of their 6 children. She married Ray Childs, Jr., on January 10, 1947—a remarkable union that endured until his death in 2008. Initially, they lived on Marjorie’s family farm, then moved to Elk River to farm with her sister and brother-in-law. In 1954, they moved to Northfield, where they raised their family of three girls and became key members of the Little Prairie United Methodist Church. They served as Sunday school teachers, MYF leaders, and enthusiastic supporters of the church. Ray went on to become a lay preacher for the church. Music was always an important part of their lives, and they often were sought out to sing for weddings, anniversaries and other important community events. Marjorie played the piano and guitar and her strong alto voice was ever-present in the choirs. Her love of music was passed on to her 3 daughters, and she supported them as they were active in the schools—especially band and orchestra. She loved to hear about the activities of her grandchildren in later years. Marjorie was predeceased by her husband of 62 years, several grandchildren, 4 of her six siblings, her son-in-law, many relatives, and her parents. She is survived by three daughters: Sharyn (Philip) Mathews of Storrs, Connecticut, Christine (Richard) Bradford of Brooklyn Park, and Beverly Tuma (Dan Peterson) of Shakopee. Also surviving her are 4 grandchildren Sara and David Mathews, Helix and Klesia Ikuenobe-Tuma, her sister Betty (George) Biskey of Spring Lake Park and many nieces and nephews. Funeral services will be 11:00AM, Thursday, November 30, 2017, at Little Prairie United Methodist Church in rural Dundas. Interment will be in Ft. Snelling National Cemetery in Minneapolis. Visitation will be at Little Prairie United Methodist Church from 4-7PM on Wednesday, November 29, 2017. Visitation will continue at the church on Thursday one hour prior to the funeral. Marion Little, age 87 of Northfield, passed away Thursday morning, September 28, 2017, at the care center of the Northfield Retirement Community. Marion Genevieve St. Vincent Little was born February 25, 1930, in Buyck, Minnesota, to Chester and Edith (Hunter) St. Vincent. She was raised in Buyck until the age of 12 when she moved to Wayzata - graduating from Wayzata High School in 1948. Marion married Stanley Little and after marriage they lived in the Dundas/Northfield area. In 1971 they divorced and Marion moved to Florida where she worked as a home care giver until retiring. In 2007 she moved to Bloomington and in 2015 to the Northfield Retirement Community. Survivors include 2 foster children Roxanne and Douglas White, 6 nieces and nephews, her Little in-laws, other relatives and friends. She was preceded in death by foster daughter Pamela Swanson, her parents, her sisters Karen Hutton and Jean Palmer, and her brothers Norman and Chester R. St. Vincent. Services will be 11AM, Monday, October 2, 2017, at Little Prairie United Methodist Church. Visitation will be at the church one hour prior to the service. Interment will take place at a later date in Greenwood Cemetery, Virginia, Minnesota. Memorials are preferred to Little Prairie United Methodist Church. A special thank you is extended the Little family for all of the support and visits they shared with Marion. ​Elvy Little, 87 of Northfield, passed away Tuesday, March 7, 2017 at the Northfield Retirement Center. Funeral Services will be 11:00 am Saturday, March 11th at the Little Prairie United Methodist Church of rural Dundas with burial at the Meadow Ridge Memorial Park in Faribault. Visitation will be Saturday at the Church 1 hour prior to Services. Elvy Norma Little was born March 7, 1930 in Minneapolis, daughter of Arvid and Ellen (Carlson) Swanson. She was raised in Wayzata where she attended school, graduating from Wayzata High School in 1948 as valedictorian of her class. In 1951 she graduated from The Swedish Hospital School of Nursing in Minneapolis. She worked as a nurse in Garrison, ND, and Fergus Falls, MN, before moving to Northfield when she began at the Northfield Medical Clinic. She met Wayne and on April 4, 1959 they were united in marriage at the Oak Knoll Lutheran Church in Minneapolis. She continued working at the clinic after having four sons while Wayne ran a feed business and living on a small farm outside Northfield. In the late 1960's Elvy was diagnosed with M.S. which she battled the rest of her life and forced her to retire early from nursing. Elvy and Wayne were active members of Little Prairie United Methodist Church in rural Dundas, where Elvy sang in the choir for many years. Elvy Little is survived by her husband Wayne; sons Ed (Gina) of Faribault, Paul (Tonyia) of Northfield, Harlan (Coleen) of Alpharetta, GA; grandchildren Amanda (Chad) Starkson, Nathan, Kenny and Marybeth Little, Ben (Bekky) Harkins, and Claire Little; great grandchildren Ethan Little, Caden Starkson, and Kestrel Harkins; and many nieces and nephews. She was preceded in death by her parents; son Curtis; and brothers Richard and Hugo Swanson. The family requests that memorials be considered for The M.S. Society, Little Prairie Church, or The Northfield Retirement Center. Miriam Ethel Drake passed away at the age of 91 at her home in Dundas early Monday, August 8, 2016. She had been cared for by her family and they were with her to the end. She is now safe in the arms of her Saviour. Miriam Ethel Mikkelsen was born at home, on Madison St in Northfield, on Oct. 1, 1924, to Danish immigrants, Martin J. and Kjerstine Marie (Christensen) Mikkelsen. She was their only child. At the age of 14, her Dad passed away. He was a Purple Heart WW1 veteran, who earned his citizenship as a result. Miriam graduated from NHS in 1942 and worked at the drugstore downtown for Harry Lazarus and John Petricka, a job she loved. On Aug. 22, 1947 she married Wayne Canedy Drake at the old St. Peter’s Lutheran Church. They then moved to Dundas where they lived and were part of the community for the rest of their lives. They had four children. In the early 60’s, Miriam got a job at Sheldahl and began a career there, learning many skills. Women were just starting to get out of the home and into the work force. For the first time, she had a sense of independence, pride in her abilities, and extra money. She retired in 1979, after 15 years. She and Wayne enjoyed traveling to national parks, and camping. A highlight of her life was a trip to Denmark to meet her cousins, and see the church her Dad was confirmed in. They enjoyed daily coffee at the Ranch House Restaurant. She knit and knit, and when she wasn’t knitting, she crocheted. They celebrated their 50th wedding anniversary, and, in 1998, Wayne passed away. Miriam began a new life and went on from there. She traveled with her daughters. She loved dollar stores, K-Mart, bright colors, garage sales, her car, her candy and snacks, her church, her Dundas community and, in her last years – a weekly prayer group, blue skies, and her manicures. She is survived by her children, Bobalynn “Bobbi” (Jerry) Bolton of Northfield; Melody Werner of Northfield; Travis (Deborrah) of Ripon, WI; and Dallas of Minneapolis; four grandchildren, Jennifer “Dawn” Draper; Amy (Leigh) Hunter; Amanda (Richard) Slaubaugh; and Emily Drake; and 8 great grandchildren. She was preceded in death by her husband and her parents; two grandsons; Matthew Werner, and infant Andrew Werner; and her son, Dallas’ partner, Joseph Shulka. Services will be held at Little Prairie United Methodist Church in rural Dundas, on Saturday, August 13, 2016 at 11:00 a.m. Interment will be in Groveland Cemetery, Dundas. Casket Bearers will be Travis Drake, Dallas Drake, Jerry Bolton, Leigh Hunter, Dustin Hunter and Jim McKinnon, Sr. Honorary casket bearers are Jennifer Draper, Amy Hunter, Amanda Slaubaugh, Emily Drake, Karl Schrader, Terra Wierson and Rosanna Forsberg. Visitation will be 4-7PM Friday, August 12, 1016, at the Benson & Langehough Funeral Home and will continue at the church on Saturday one hour prior to the service. 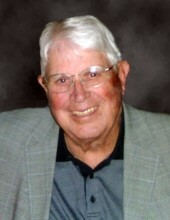 ​Visitation 4-7pm May 16th at Bierman's Funeral Home and 1 hour prior to the funeral at the church. Harold James Little was born July 16, 1923, on the family farm near Dundas, Minnesota, to George and Alice (Fremou) Little. There he was raised and attended District 15 (Little Prairie) country school. Harold was united in marriage to Carol Buscho on September 24, 1950. The couple farmed near Dundas until retirement. Harold loved dairy farming and cared for his herd of milk cows. For Harold, farming wasn’t about a job. It was about the life he lived and what he could give to others. Hard work, dedication, passion, and faith were all important to Harold. He enjoyed being outdoors and working the land. Harold was a long-time and active member in the Little Prairie United Methodist Church. He also worked various jobs for the Farm Bureau in Rice County as well as supervisor on the Bridgewater Town Board. On Tuesday evening, May 10, 2016, Harold passed away at the Northfield Retirement Community at the age of 92 surrounded by his loving wife and family. He is survived by his wife, Carol, of 65 years from Dundas; his daughter, Dawn (and David) Papp of Sammamish, WA; his sons, Phillip (and Kaylene) Little of Faribault, Tim (and Tami) Little of Faribault, Peter (and Deb) Little of Dundas; 9 grandchildren; 8 great grandchildren. He is also survived by his brothers, Wayne (and Elvy) Little of Northfield, Doug Little of Dundas; sisters, Florence (and Neil) Wobschall of Centennial, CO, Doris Bickel of Tucson, AZ; sister-in-law’s, Shirley Little of Faribault and Marion Little of Northfield. He was preceded in death by a son at infancy, Jonathan; his parents; brothers and sisters-in-laws, Lloyde (and Ruth), Robert (and Nona), Stanley, Donald, and (Anna Mae); two sisters and brother-in-laws, Hazelle (and Bill) Williams, Betty (and “Duke”) Duchene, and Gerry Bickel. Wake is scheduled at 3-6pm at Little Prairie UMC on Monday, January 11. Funeral Services will be held at Little Prairie at 11am on Tuesday, January 12, with a wake one hour prior. Harold Philip Paulson, age 90 of Northfield died on Thursday, January 7, 2016 at the Northfield Hospital. Harold Philip, the son of Philip and Hulda (Lindberg) Paulson was born on January 26, 1925 in Barnum. He graduated from Carlton High School in 1943 and worked two years in the steel mills. In 1945 he went to the University of Minnesota where he was a member of Farmhouse Fraternity. He started teaching in Albert Lea in 1948 and moved to Faribault to teach in 1949. Harold married Norma Danks in 1951 in Wells. He finished college in 1954 and they moved to Northfield in 1955. There, he taught until his retirement in 1980, still farming for nine more years. He was a longtime member of the Dundas State Bank Board as well as numerous other boards and organizations. He and Norma enjoyed many winters in Arizona. He is survived by his wife, Norma of Northfield; two children, Kay Brittingham of Sun City, AZ and Brian (and Shawn) Paulson of Northfield; two grandchildren, Matthew (and fiance, Lorien) of Eagan and Michael of St. Louis Park; siblings, Ardelle (Ed) Thornton of Carlton, Phyllis (and Roy) Bohren of Esko, Nancie Paulson of Brainerd and Richard (and Geraldine) Paulson of Barnum; many nieces and nephews; brothers-in-law, Harry (and Helen) Danks of Galt, MO and Leo Danks of Wells; and sister-in-law, Marie Patton of LA. He was preceded in death by his parents; two brothers, Carl and Franklyn Paulson and a sister, Hazel Maxwell. Arrangements are being completed by the Boldt Funeral Home, Faribault. Funeral services will be held at Little Prairie on Monday December 14, 2015 at 11 AM with last viewing preceding at 10 AM. Luncheon to follow. Ann Marie (Niesen) Maas was born on May 19, 1964 in Watertown, Minnesota, to Jerry and Margie Niesen. Ann graduated Mound High School in 1982. Throughout school, she participated in cross country, track and was a member of the marching band. In 1984 Ann was blessed with a baby girl whom she shared with Kirk Holt. On December 21, 1985, Ann was united in marriage to Mark Maas, resulting in 3 children. They later divorced. The family was blessed with their 5th child in 2001. In 1993 Ann purchased Rocky Top in downtown Northfield, and her family moved to Northfield the following year. In 1996 Ann sold the business to spend more time with her children. In 2003 Ann returned to Rocky Top as a manager, and purchased the business again in 2012. In-between her time with Rocky Top she worked at All Flex, WestCo and Village Drug while running her home business (A Stitch in Time). Ann was a longtime member of The Defeat of Jesse James Days Committee, where she was in charge of the Antique Tractor Pull. She was a member of Little Prairie United Methodist Church, Northfield Lions, and a contributor to Northfield’s Beyond the Yellow Ribbon. While growing up, Ann enjoyed spending time with her grandparents, especially fishing with her grandpa Arnold. She loved spending time at Elko Speedway - cheering for Danny Fredrickson and other favorites with her racing friends. She was an avid bowler, known for her cow bowling ball and enjoyed billiards. Ann took pleasure in time spent with her grandchildren, children, family, and friends. She was loved by all who knew her. Ann is survived by her 5 children: Melissa (Edward) Harmon of Wendell, Idaho, Matt Maas of Northfield, Alizabeth Maas (Justin Rush) of Dundas, Alexander Maas (Karley Drentlaw) of Dundas, and Madeline Maas of Dundas; grandchildren: Kyler and Kaleb Harmon and Lydia Maas; her parents, Jerry and Margie Niesen of Buffalo, Minnesota; her siblings: Donny Niesen of Isle, Minnesota and Lisa (Bob) Quigley of Brooklyn Park; special friend, Ray Rice; nieces, nephews, other relatives and friends. She is preceded in death by her grandparents Arvilla and Alvin Arnold, Sophia Kiphuth and Christ Niesen and 2 grandchildren at birth. On Wednesday, December 9, 2015, after a long fought battle, Ann succumbed to breast cancer at the age of 51. She was at the Northfield Hospital Long Term Care Center surrounded by her family. Visitation will be on Sunday, December 13, 2015 from 2-5 PM at the Benson & Langehough Funeral Home in Northfield. Funeral services will be held at Little Prairie United Methodist Church in rural Dundas on Monday December 14, 2015 at 11 AM with last viewing preceding at 10 AM. Pallbearers will be Alexander Maas, Matt Maas, Jesse Rimpila, Mark Maas, Donny Niesen and Ed Maas. Memorials are preferred to “Helping Annie Save 2nd Base” at First National Bank of Northfield.